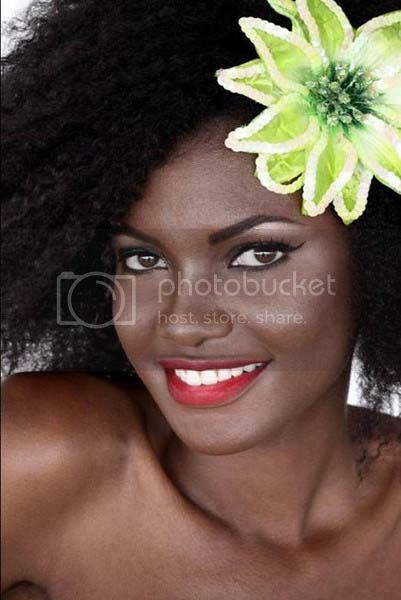 Notes: Axelle Perrier is the reigning Miss Monde Martinique 2011. Axelle is currently studying computer science at University and hopes to complete a masters degree in engineering. Her hobbies include: drawing, horse riding and spending time with her two brothers and the family’s two dogs. Martinique is a small island between St. Lucia and Dominica in the Caribbean. The capital, Port de France, can accommodate cruise boats and ‘yoles’ during the summer holidays like the other towns. In the future, I wish to be a model. I wish to be an active woman and build a family. Axelle is a good friend, she is sociable and lovable. When she has a goal she will do anything to succeed. She is determined, generous and optimistic. She makes the most of life. Toujou fini a mwen ka coumance (Always finish what you start). My favourite food is the fricassee of chatrou (octopus) with a spicy dish. I like zouk, dance-hall, pop and R&B. My favourite book is ‘La Rue Cases-Negres’ by Joseph Zobel and ‘Balzac et la Petite Tailleuse Chinoise’ by Dai Sijie. The day after my coronation, my brother, Jonael, gave me a pearl ladybird. I wear it when I am feeling lonely. My talent is my ability to pop and R&B dance. I learnt to sail a ‘yole’ (boat), and ride a beautiful, black horse. His name is Diablo. I like fashion shows and the cinema. My favourite actress is Jessica Alba. I enjoy spending time with my friends.